Making sure your plants have enough water is essential to the health of your garden, but ensuring no drop is wasted is key to keeping your water bill down and helping your garden thrive in a drought. Conservation goes beyond just when and how you water—what you plant, where you plant it, and how you maintain it are just as crucial to making every drop count. Pay attention to where, when, and how long the sun shines on your garden. Put dry-soil plants in sunny locations and those that need a lot to drink in shaded areas. Next to the house is a good place for thirsty greenery, as runoff from the roof can help cut down on how often you have to use your hose. The best time to plant or transplant is early spring or early fall. The cooler weather means your plants will need less water to get established, and when summer rolls around, their root systems will work more efficiently. Naturescaping—the practice of using local flora in your yard and garden—helps you keep the sprinkler in the garage and enjoy a thriving garden with a minimum amount of care. Native plants have had thousands of years to adjust to an area’s normal rainfall, soil, and climate. Once established, they require little or no watering. The bigger the plant, the more hydration it needs. When choosing shrubs for your yard, don’t go with a variety that will grow larger than you need it to, and be sure to keep it pruned. The same goes for spacing: if you’re tempted to crowd plantings along a walkway, keep in mind that flowers and bushes that look sparse at first will fill out as the seasons pass. A lawn can take in more than 20,000 gallons of water each year. Consider switching to a variety that needs less than that to thrive. Hardy choices include Bermuda grass and buffalo grasses, both of which need 20% less H2O than fescue or bluegrass. Mulch is a double-duty performer in preventing water loss: it cuts down on thirsty weeds, and it keeps flowerbeds moist. There are two kind of mulch, organic and inorganic, and each has unique additional benefits. Organic mulches can be made up of bark chips, pine needles, compost, or even grass clippings and ground-up leaves, all of which add nutrients to the soil. 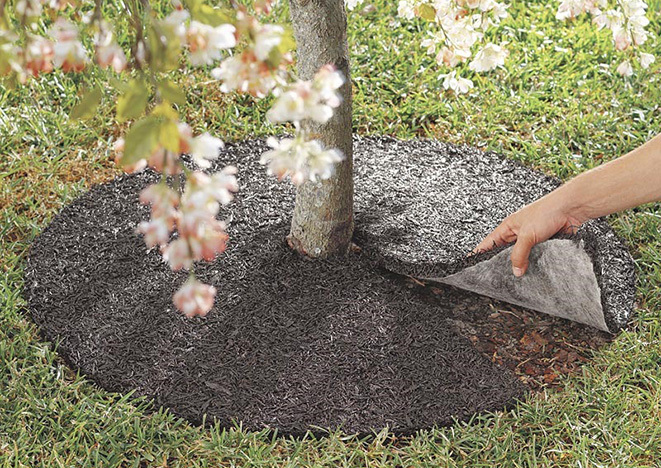 Inorganic mulches—made from pebbles and gravel, plastic, recycled materials, or landscaping fabric—won’t attract pests and don’t need to be replaced every year. The higher your grass, the more it shades the roots from the sun and prevents moisture from evaporating. Raise the height of your mower to no lower than three inches. Did you know that a 25' x 40' roof could drop as much as 600 gallons of runoff during a moderate rainfall? Rather than let all that liquid go to waste, capture it in a rain barrel! 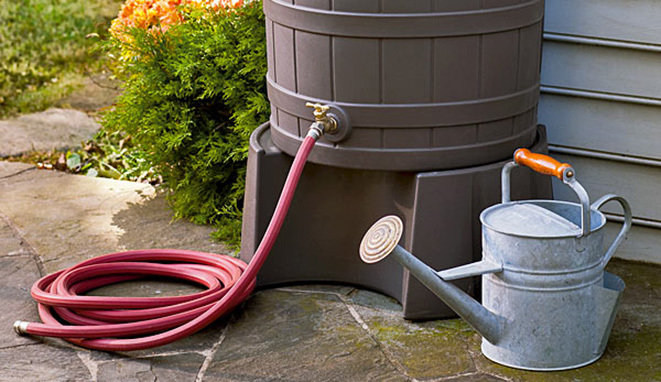 All you need is a capture system consisting of roof gutters and downspouts (an attractive rain chain also works), a large-capacity rain barrel, and a garden hose. 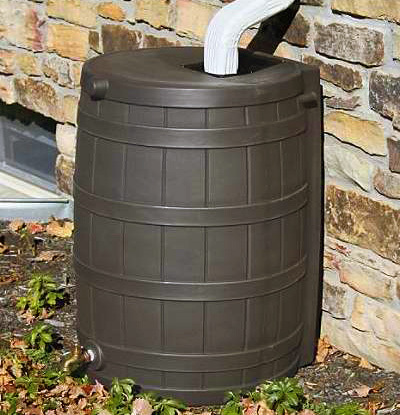 The rainwater you collect can be used for both your yard and garden and is a cost-effective refill source for re-circulating water features. Watering during the heat of the day means your plants will lose part of the life-giving liquid to evaporation, so pull out the sprinkler or hose in the cool morning hours. It might seem logical to give your garden a drink in the evening when the sun is down and temperatures are cooler, but this puts your plants at risk for developing mildew and fungi. In most cases, an inch a week will supply what most established plantings need (as well as abide by most municipal water restrictions). Instead of applying that inch through shallow, frequent watering, do one long, soaking session a week. This will ensure deep rooting, leading to stronger, healthier plants. Try an ancient technique for efficient watering! An Olla is an unglazed ceramic vessel used for underground irrigation that's been around for thousands of years. 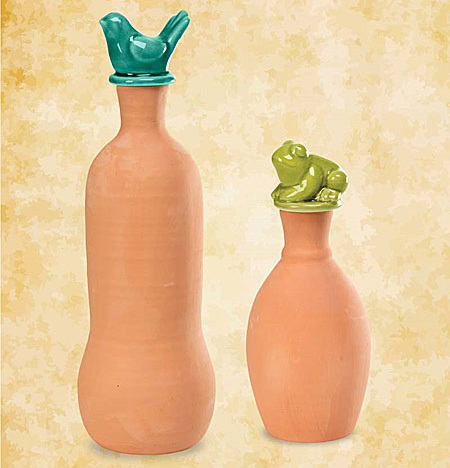 Simply fill the olla and bury it in the soil of your garden, leaving the neck with topper exposed. Water seeps through the container, providing moisture to the roots of your greenery with no wasted drops. 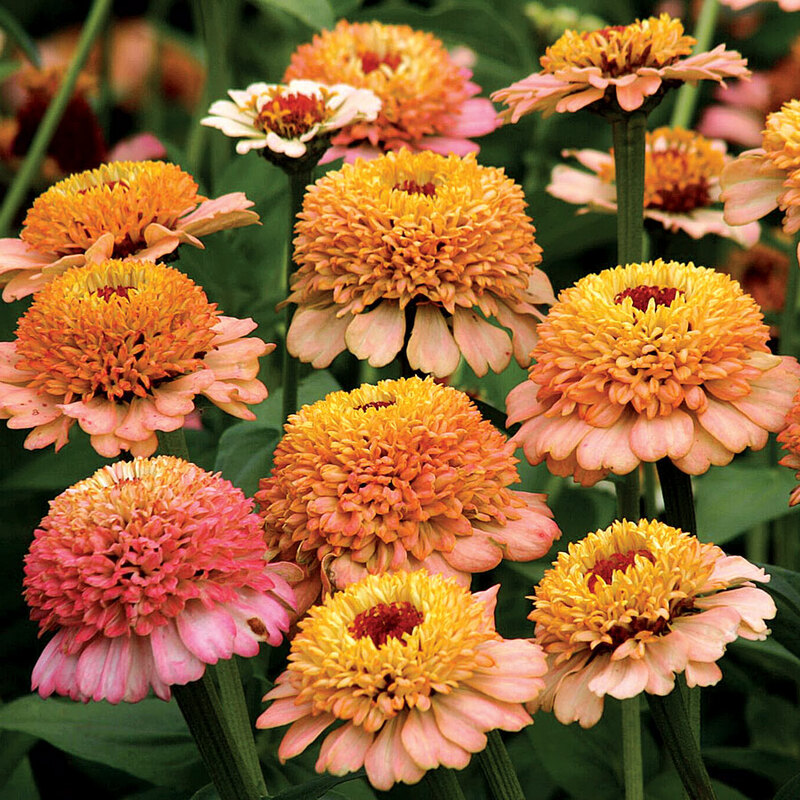 Check and replenish it periodically—your plants will thank you!